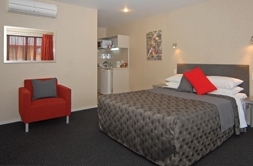 Optimum motel accommodation directly opposite Hawke's Bay Hospital in Hastings. We are within walking distance from the Hastings City centre and its restaurants. Our accommodation is one of the nicest motels in the area, so you will enjoy the latest that good design has to offer being crafted with the best in modern facilities to make your stay a comfortable one. Whether in Hastings for business or pleasure we are the ideal accommodation. Enjoy our beautiful rooms, personable service and reasonable motel rates. Our rooms are self contained and Wireless Internet is complimentary. Our guest book has made us proud of our accommodation with comments including "Fantastic", "Great - Best Yet", and "First Class Service!" Our rooms are a mixture of luxury two-bedroom, one-bedroom and executive studio units, some with spa baths. 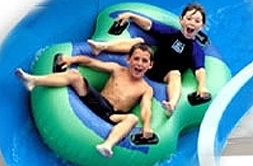 All units are fully air-conditioned and self contained. 42" and 32" LCD HD TVs are fitted and the one bedroom units have a 26" LCD in the bedroom. Sky channels and teletext. Complimentary Wireless broadband internet and separate workstations. Complimentary use of barbecue for house guests. Cooked and Continental breakfast available. All rooms have a DVD player and in-room snack bar. Guest Laundry is complimentary. Hastings and the surrounding district - although separate for much of their history - were socially one from the beginning. An urbanised, industrial-age society grew and flourished in both town and country from the earliest settler days. People looked to the city of Hastings for services and facilities regardless of where they lived; and people in both town and country relied on employment or enterprise to earn money. 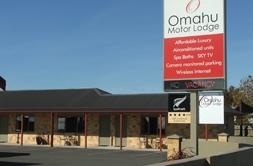 Perfectly positioned to take advantage of Hawke's Bay wineries, Omahu Motor Lodge motel is located on Omahu Road, directly opposite Hawke's Bay Hospital in Hastings. Omahu Road is the continuation of Heretaunga Street (the main street of Hastings), through Stortford Street roundabout. Our accommodation is close to the cafés, restaurants and wineries near town.